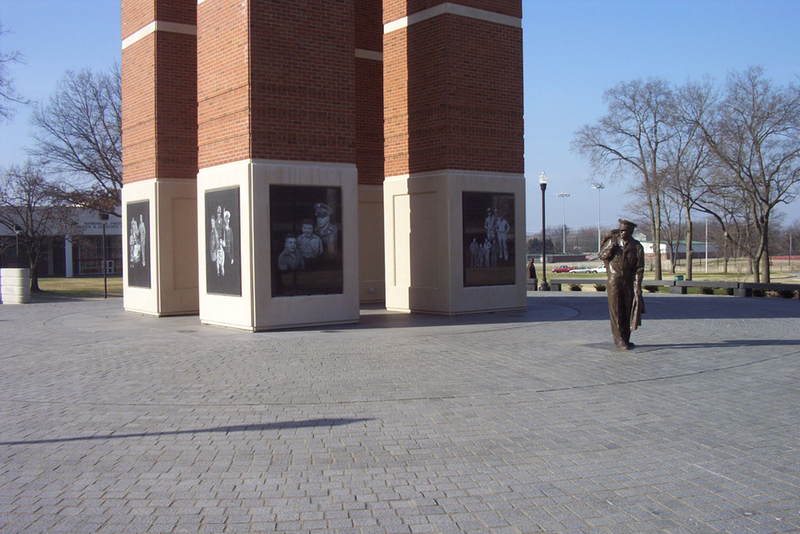 The project, a Bell/Clock Tower and Plaza, is located on the Western Kentucky University campus. The construction funds were donated for a war memorial to honor all American servicemen and in memory of the donor’s brother, Sgt. Robert A. Guthrie, who was killed in combat during the Korean War. A life-sized, freestanding, cast bronze sculpture of Sgt. Guthrie is an integral part of the plaza design. The Tower is 125’ in height and provides a strong visual landmark for the entire campus and surrounding neighborhood. The adjacent Courtyard and Academic Building are concurrent phases of one total project.